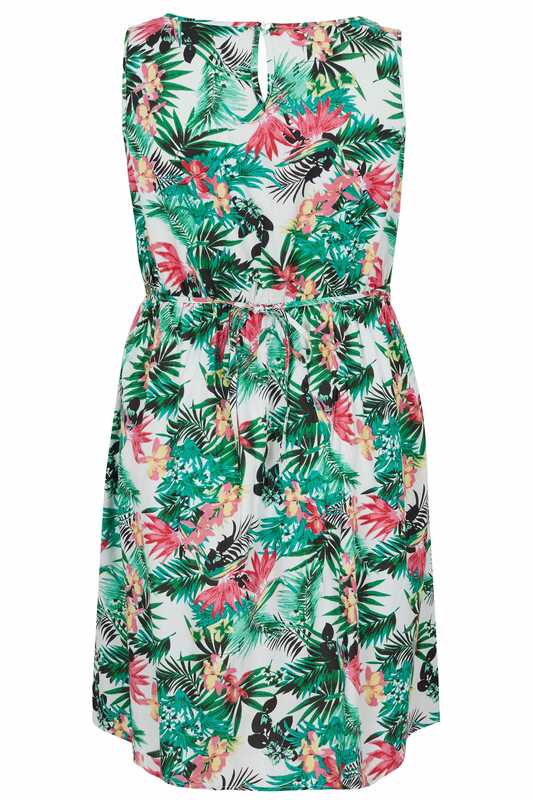 Create effortless style with this dress. 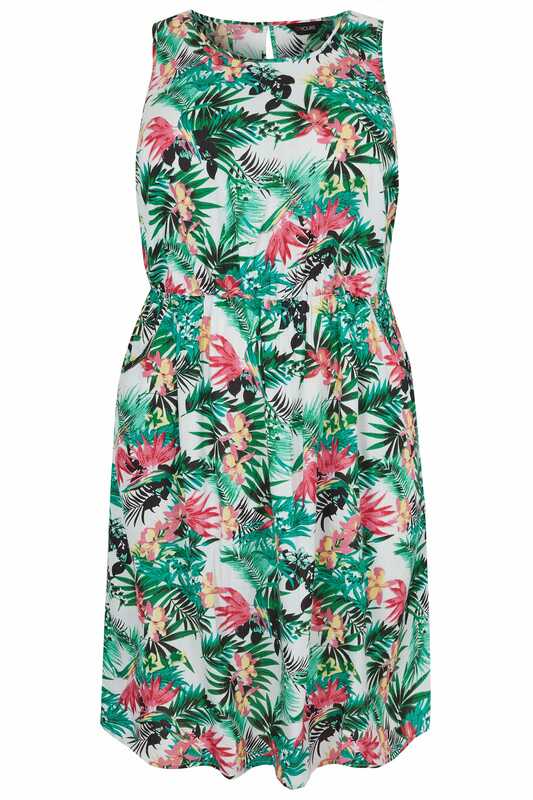 In a relaxed sleeveless design with a scooped neckline, it boasts a bold tropical floral print and features two pockets and an elasticated waistband for a comfortable all-day fit. A must-have piece for brightening up your wardrobe!